Welcome to Pompeii Kennels. We have been showing and breeding purebred dogs since 1997. We first started with Chinese Sharpeis and had many years of fun showing and breeding. We tried other breeds but found our stride and success with French Bulldogs. We became LJ’s Frenchies. Life happens and we stepped away from the dog showing world but always kept the fire burning inside. We were never too far away, we just didn’t have any dogs to show but we would ring steward and attend dog shows as spectators. In 2014, we decided it was time to return back to the show ring. 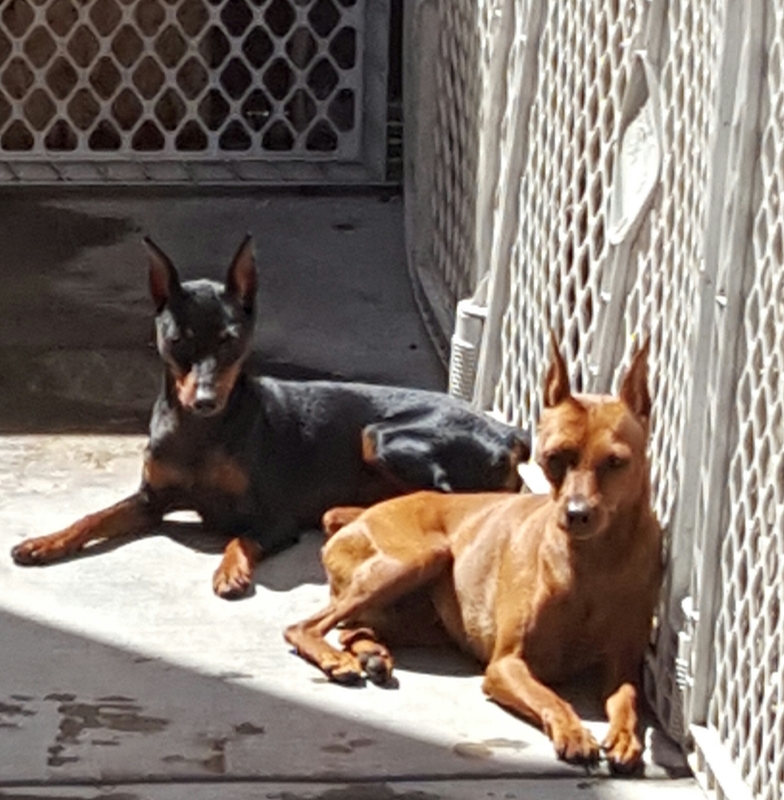 We are now back as Pompeii Miniature Pinschers. I picked the name Pompeii because I am a sucker for sad love stories. We of course had to include our original breed, the Chinese Sharpei. Yes, we bought her from the same breeder we met in 1996, Lava’s Kennels..
We are a small breeder that truly believes that quality is more important than quantity. 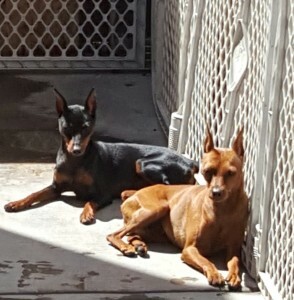 Our goal is to breed healthy, breed standard Miniature Pinschers which will make excellent companion dogs first. 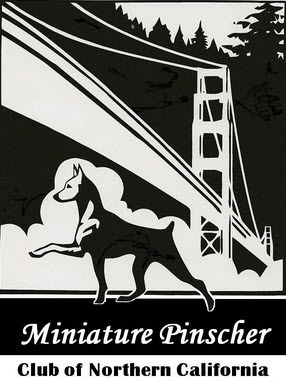 Please continue to come back and check us out as we start this new journey of showing Miniature Pinschers and one day breeding Miniature Pinschers. Thank you for visiting our beautiful dogs.